With the essential Oil of Cedarwood, you can treat yourself to an aroma and tonic that will take you back to nature for a soothing and relaxing respite from the stresses of "modern" life. Let Cedarwood be your passport back to nature. Believed to have originated from the famous Lebanon cedars, this essential oil provides a cleansing tonic for the scalp and face to help the body better deal with dandruff and acne. It can also be massaged into the skin for soothing, relaxing muscle rubs. 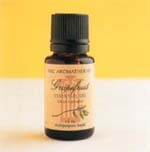 Fresh from nature�s pharmacy comes the essential oil Cypress. 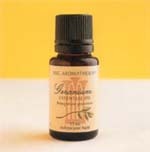 Cypress has a pleasant, woody odour that balances the mind and body. Cypress supports your body�s systems, as well as easing muscle spasm and sprains. However you choose to enjoy this essential oil�s valuable properties, Cypress will invigorate your senses of smell and touch and support the general health of other body systems. Revive yourself and reach into nature�s pharmacy for the essential oil of Cypress. This beautiful essential oil comes from the resin of a small tree which is native to North Africa and the Red Sea region. Frankincense has a calming effect which is why it is used both as a meditation aid and in the treatment of mild upper respiratory tract complaints, where anxiety can often be a trigger. It helps to restore tone to slack-looking facial skin and smooth the appearance of wrinkles. Frankincense is also particularly helpful for older skins having a definite tonic effect. Beloved by women for its harmonising influence in times of unrest, Geranium�s pleasing scent offers respite from the stresses of everyday life. Long considered an exquisite perfume, Geranium essential oil invites feelings of relaxation while easing feelings of stress and nervous tension. The 100% pure essential oil is distilled in Egypt from a variety of Geranium highly regarded for its soothing influence upon the mind and body. 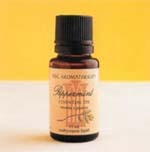 Grapefruit promotes healthy skin and hair, creating an image of perfect health and radiance. It chases away those winter chills, colds and flu, relieving symptoms and clearing the way ahead for active, hearty days. Grapefruit can brighten the dullest day, bringing cheer and confidence to even the most disheartened and can also give temporary relief of headaches and performance stress. It is beneficial to the body in general and helping to prepare for exercise. 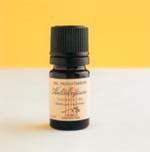 Richly aromatic, Helichrysum soothes your body and delights your mind with the subtle scent of honey and flora. More than merely changing the ambience of your home or office with sweet, subtle, scent of Helichrysum is also a powerful health enhancer that can support the various systems of your body. When diluted in Neways� Mixing Oil and massaged into sore muscles, Helichrysum can soothe aches, pains, sprains and strains, relaxing the body and easing the tension knotted into the musculature. For thousands of years, people have relied upon this versatile plant for everything form allergies to acne. Lavender has been used since Roman times to perfume homes, linens and baths. It soothes headaches as it fills the room with its pleasant aroma. 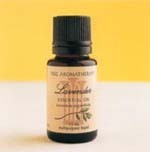 Lavender has the ability to relax stress-related conditions and promote general well-being throughout the body. As pleasant as it is versatile, Lavender could well be called the world�s favourite essential oil. In European countries lemon was traditionally used for relief of illness, being hailed as a �cure all�. Its vitamin content (A, B and C) is extremely high and even to this day the lemon is employed on English ships and given to seamen after every ten days as a preventive against scurvy. Lemon refreshes a dull skin and has wonderful astringent properties, for use on oily skin. Lemon fragrances the air when diffused and promotes a general sense of well-being, while helping to relieve the symptoms of colds and flu. The sweet, warm and refreshing aroma of Orange is a universal favourite. Well liked by both children and adults, the tangy smell of oranges offers comfort, bringing hope and cheer to discouraged hearts. Orange essential oil possesses the ability to refresh the emotions and psyche and can be used for a variety of common health complaints to enhance feeling of well-being. Orange is respected for its gentle balancing actions that may help the body ward off feelings of nervous tension, stress and mild anxiety. Patchouli is one of the few essential oils that gets better with time and Neways� Patchouli has been carefully aged in England, where it matured slowly, like fine wine. The result is a smooth-smelling Patchouli oil with many emotional and physical benefits. Diffused into the air, Patchouli helps rekindle the lost feelings of youth and can help you experience the prime of your life. 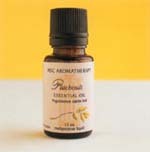 When combined with Tangible Massage Lotion or Mixing Oil and used topically, Patchouli is wonderful for the skin. 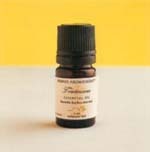 The health-promoting qualities of Patchouli support healthy skin, especially assisting against dry skin. Embrace the musty-sweet aroma of Patchouli as it also calms skin cells and enhances the appearance of younger-looking skin. Now, you can invite nature back into your life with Peppermint essential oil. It�s just the lift you need in a nature-deprived world. 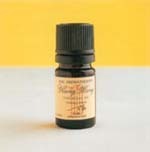 Traditionally it has been used to soothe the address a variety of health concerns. The strong mint and menthol aroma may also calm mild, upper respiratory system complaints as it eases nasal and head congestion. 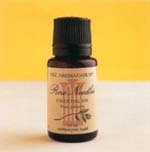 Pine Needles essential oil is taken form the needles of the Scotch Pine, through a process of distillation. Its sweet, woody bouquet is a favourite to many. Pine Needles has numerous benefits. It soothes and eases the symptoms of mild upper respiratory infections and in adults it helps clear a heavy head of congestion. Therefore, it is beneficial to the symptoms of colds, flu, sinus, coughs, congestion and associated ailments. Roman Chamomile has a long tradition in herbal remedies, with the essential oil often being used to soothe restlessness and impatience and found to be very effective in easing insomnia. With its relaxing and sedative properties it is a wonderfully calming oil which can soften anger and calm emotional upsets. 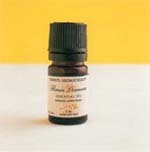 The symptoms of PMS can be relieved with the diffusion of Roman Chamomile in Neways Jet Diffusor. It is highly regarded as excellent to blend with the Mixing Oil for dry skin, or as a soothing scalp massage. It is suitable for the young and the frail and is one of the few essential oils which can be used on inflamed skin conditions. 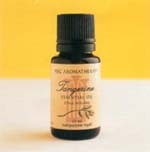 Tangerine oil is a striking saffron colour that gives off a sweet, tangy, citrus fragrance. This aroma has a soft, gladdening effect and encourages youthful notions and perceptions. The oil is often referred to as �the children�s remedy� due to its calming effect and gentleness. Cheery Tangerine brightens the days of those ill at ease and enforces positive feelings when emotionally fragile, while at the same time encouraging tranquillity. Take a little time in your day to experience the �flower of flowers� - captured perfectly in Ylang Ylang extra essential oil. An excellent aroma, Ylang Ylang Extra has also been known to soothe away feelings of stress and tension leaving an overall balancing effect. It evokes feelings of deep, languid calm that melt nervous tension, insomnia, and numerous stress related conditions. It has a rich, sweet, soft, floral-balsamic and mildly spicy aroma holding an unusual tenacity in its rich, creamy top note and floral woody backnotes.